August 12, 2016 Categories Non Fiction/Personal Experience, University Work1 Comment on WE HEART COFFEE. She is smooth and she is warm. She is a giver and not a taker. She casts her spell; a full-bodied aroma that canopies itself around every curve of your body, filling deep inside your pores, until you succumb and hand over $3.80. We have accepted this legal drug into our world, one that’s smell is far more enticing than it’s taste and yet, we don’t know how to say “no”. 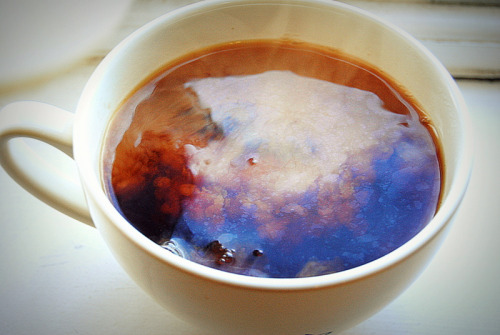 We cannot live without the endearing cup of joe that makes the day five trillion times easier. All coffee-drinkers will agree: this is not an exaggeration. However, that is the thing about coffee; it makes us crazy, in more ways than one. If you miss your daily dose, it’s likely you’ll find yourself yelling at your boyfriend for being five minutes late, or crawling into bed at 7:30 pm with tears of frustration rolling down your cheeks, cursing your body for being so tired and weak. Most of the time, if we miss a cup, we don’t even realise. We go through the day, as per usual, and suddenly problems start to arise. The simple task of plugging in a phone charger can take an extra few moments, because you can’t seem to line it up to the power point quite right. Our anger isn’t heavy or vengeful, it is tearful and confused. Without coffee, we are nothing. As university students, coffee has become something friendly to us. There is a vast range of coffee suppliers on campus and where we choose to indulge is quite sacred. If you visit a different café than your usual, one might equate this to cheating. But really, you are only cheating yourself, for you know what roast agrees with you best, you know which barista will provide you with the silky-smooth soy milk that you desire, and to go anywhere else would merely ruin the consuming experience. Drinking coffee goes much further than the smooth taste and long lasting effect, it’s always an appropriate social occasion. “Coffee dates” can be with anyone from your grandmother, perhaps an old teacher or professor, or that cute guy from biology you’ve been eyeing off for a while. But asking him to join you for an evening, alcoholic beverage seems a bit too risqué when you’re genuinely looking for a good conversation. No matter how much we like to believe that coffee “loosens us up”, it tends to do the extreme opposite. With a few shots too much, we turn into highly-strung, stressed out baboons. One would suggest that you don’t have a cuppa before your date with hot biology guy; a shot of vodka would almost be a better option. Coffee is delicious, it’s good for the soul and the mind, but those kinds of people are the worst and the coffee world would be a much better place without them.